Having one of the biggest days of your life occur outside of your home continent can be a nerve wracking experience. Luckily, we found the perfect company to help us make our vision a reality. Laura Frappa and her team did an exceptional job. From day one of planning, our emails were answered in a promptly manner, our legal documents were taken care of, and recommendations of food, hotel, and photographer were made. The night before our wedding we found out that we would have rain showers throughout the day, (this brides worst nightmare!) and I emailed Elena to see what could be done. She immediately put us at ease and reassured that her team would figure something out so that the rain would not hinder our wedding day. We were gracious to hear that she was able move up our ceremony time by thirty minutes, which gave us enough time to have the ceremony and take photos with enough sunshine before the rain hit later in the afternoon. Since my husband and I decided to elope, getting ready for the ceremony would have been impossible without the help of the staff. The hotel we stayed in (which was recommended by the EIW company) made accommodations so that my husband could get dressed in a separate room from me. Anna our translator was kind enough to help me with my wedding dress and accessories. She was also kind enough to fix my veil during the ceremony so that it would be displayed nicely in the pictures. Our photographer Gianni was also a sensational addition! He is truly an artist and his love for photography truly portrays in his work. We left Italy with beautiful memories and wedding photos. Even after when we returned to the U.S, we received an email from Elena to make sure our official wedding documentation arrived to our home safely. 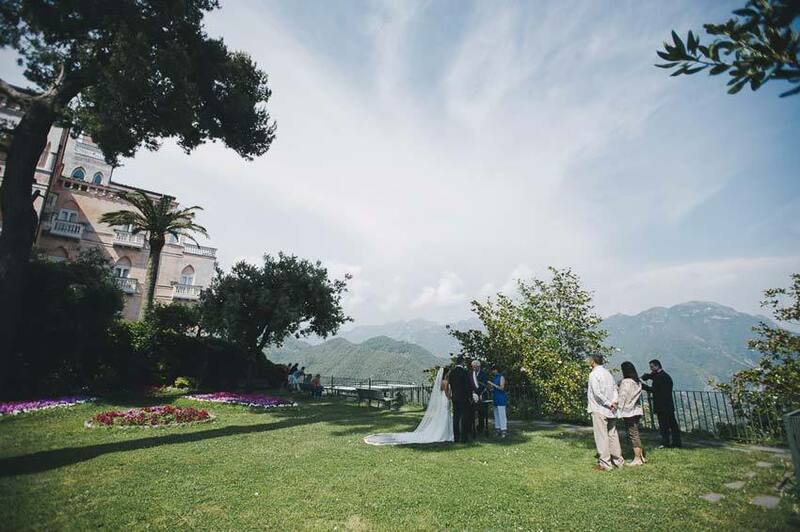 My wedding day would not have been executed without the hard work and dedication of Exclusive Italy Weddings. It was truly a memorable experience, bravo! !